Listening to music and then managing those cables and phone along is always troubling. But technological advancement has reached to that mark to give you wireless music. However, affordability was the problem initially. Contemplation over this problem eventually come up with this new superior-sounding wireless earbuds ‘SoundFlow’. Because wireless music should be convenient and affordable. It can charge directly from your phone case. SoundFlow provides simplicity and stunning wireless sound. You can securely fit them in your ear, store them in your case, locate them with your phone and more. Its stunning wireless sound outshines this device. Crisp highs, clear mids, and reverberating lows are equally amazing. These wireless earbuds are designed with two easy ways to charge; SmartCase and through PowerDock. Why carrying three devices when you can charge three in one case. Yes, recharge three devices at once while on the go. Your phone, earbuds and battery case can charge directly with USB-C or Qi Wireless. 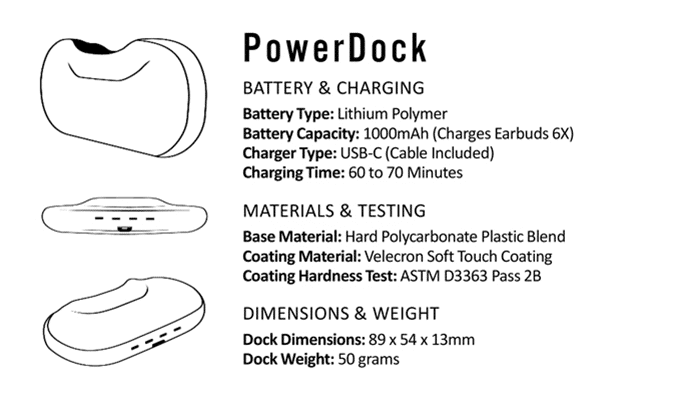 The PowerDock has the 100mAh battery inside to recharge the SoundFlow earbuds six full times. It empowers you to have over 50 hours of continuous playback. 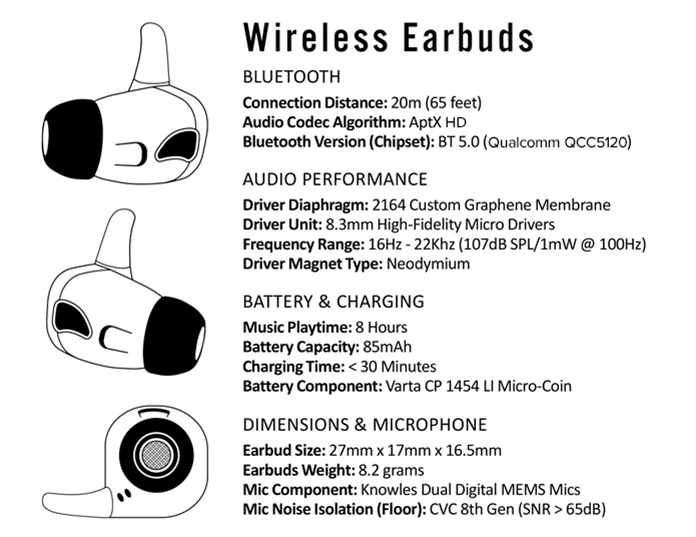 It provides high-fidelity Graphene audio experience and designed with an ambient noise cancellation. 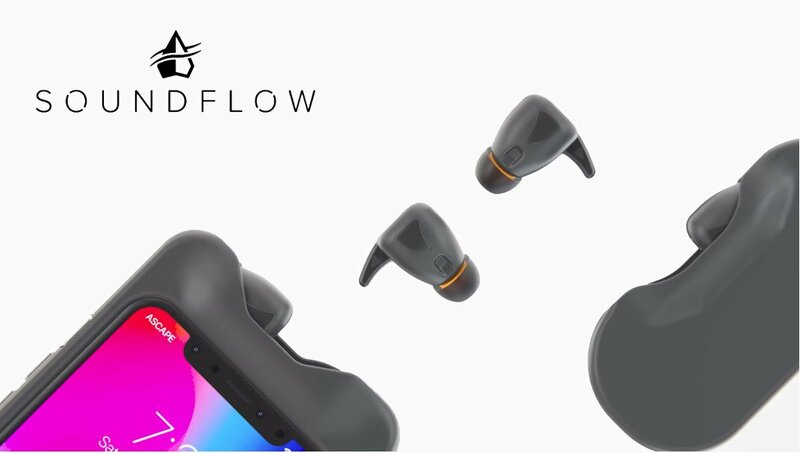 SoundFlow wireless earbuds are rain, sweat and dust proof. Simply, twist them to fit securely in your ear. It enables hands-free calling and provides stunning wireless sound. They are empowered by super fuel fast charging. It has a feature to auto-pair with any Bluetooth device and compatible with Bluetooth 5.0. Its ergonomic design, simple and intuitive touch, and high impact drop protection outshine these earbuds. The most amazing thing about these earbuds is that you can track them with a mobile app. It means there is no fear of losing them anymore. 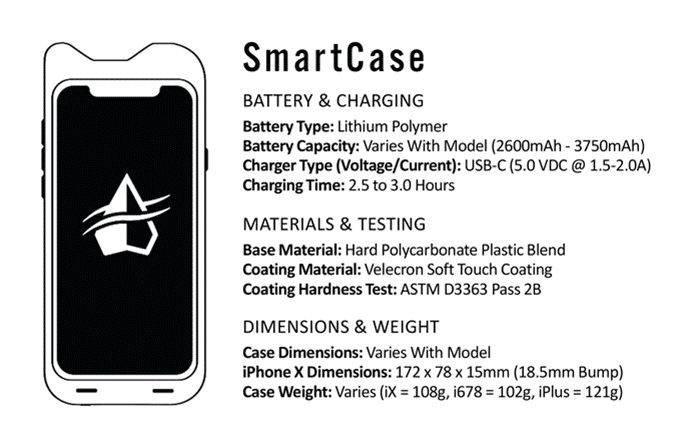 It comes with SmartCase or PowerDock, Ascapepod Earbuds, Soft Silicon Eartips, Memory Foam Eartips, Locking Security Fins, Micro USB Cable, and user manual.